If your business does business with other businesses, chances are payment processing makes up a much larger part of your annual expenses than you would like it to. Corporate, Purchasing and Business Cards have the highest cost or “interchange” rate to accept out of all non-international card types. Your customer’s “rewards” are paid by you and not the generosity of the credit card companies. That doesn’t include the cost of equipment, PCI-compliance and other hidden fees, which leave many businesses with huge annual costs. For B2B companies, Level 3 Interchange Optimization can slash those costs significantly, often times lowering the rate to below what a traditional consumer or rewards card would cost to accept. If you accept Business, Purchasing and/or Corporate cards and aren’t qualifying for Level 3, chances are you're paying way too much in payment processing costs. The difference in the rates just goes in the coffers of the credit card companies, and they don’t really need the handout from you (but will gladly take your money). Your Business just closed a HUGE deal with another business. Congratulations! Getting paid on a huge deal feels great, paying processing fees on one, not so much. With Level 3, merchants who are accepting payments higher than $7,500 are eligible for what is called “Large Ticket” discounts, depending on the card type and size of the transaction. Merchants can save between 25-75% of the total cost of the transaction by lowering the risk associated with these transactions. Best of all, there are solutions that can do this seamlessly on the back-end, with no additional work from you. Stop paying almost 3% on every credit card transaction and instead pay as little as 0.5% with Large Ticket Discounts. If you’ve ever thought (or screamed) “These fees are too high, why do we even take cards?”- there is good news. Surcharging, also known as cash discounting is now legal. For B2B companies with slim margins, 2-3% can make all the difference. There are strict rules and regulations about who can and cannot surcharge, as well as signage, rates and notification of card brands that merchants need to follow. If you live in California,Colorado, Connecticut, Florida, Kansas, Maine,Massachusetts, New York, Oklahoma and Texas, there are unfortunately state laws that ban surcharging credit cards(with some exception). Companies in any other state however that surcharge can look to increase their bottom line significantly- by passing the cost of accepting cards to the customers that choose to pay with them. Accepting cards, even with Level 3, can still be expensive for B2B companies and surcharging doesn’t work for everyone.. ACH and other bank to bank transfers have come a long way and there are new solutions that make accepting ACH payments as simple as accepting credit cards. Moreover, if your business still accepts checks, ACH can dramatically increase your cash flow with a fraction of the costs to push paper between you and your customers. ACH fees are miniscule compared to Credit Cards and you can avoid the downsides of card acceptance like fraud and chargebacks. The previous entries are all about reducing the cost of accepting cards.. However, the overhead associated with reconciling these payments can often be more expensive than interchange rates. There are 1,000’s of software solutions from accounting systems like Quickbooks and Xero to CRM and ERP solutions like Hubspot, Salesforce and Oracle, not to mention ticketing, analytics, HR, and other SAAS solutions that have helped bring many businesses into the 21st century. The problem is these software systems don’t talk to one another, costing your business money and wasting time. If you find yourself having to do manual entry, reconciling multiple items or having to export/import data constantly, there are many new solutions that can help better connect your business ecosystem. If you’re thinking, “it would be nice if X could talk to Y” in 2019 chances are it can and probably should. Team Merchant provides a no obligation Discovery Analysis to B2B companies to help evaluate these areas and more (including PCI compliance and data security). Our partner company Paycove is a software solution that connects CRM, Invoicing, Quoting, Accounting systems and more. Schedule a meeting with us today to see how we can help your business in 2019 and beyond. At Team Merchant, our #1 value is WWFRD (What would Fred Rogers do?). We strive to live up to this in every decision and interaction. Can you say the same about your credit card processor? IF YOU WOULD LIKE TO LEARN MORE OR TO SCHEDULE A TIME TO TALK, PLEASE CLICK HERE. Announcing a new member of the team! At Team Merchant, our mission is to empower merchants with transparent payment processing and education. We work for our clients, not the big banks and payment companies. Accepting payments is a pain point for many businesses, so we work hard to find the best possible payment solutions and technology. 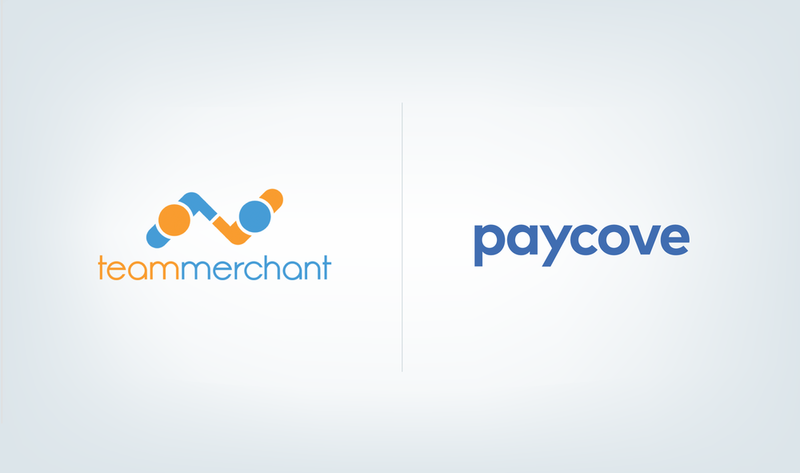 Team Merchant is excited to announce a new strategic alliance with Paycove, an automated billing and payments solution for businesses of all sizes. Paycove simplifies billing and payments for organizations by integrating seamlessly with CRM systems like Base, Pipedrive and Hubspot, with many more on the horizon. Businesses can use Paycove to quickly create quotes, generate invoices and accept payments via ACH or credit card. Their revolutionary platform streamlines business processes by connecting sales, payments and accounting software. Paycove has already produced measurable results. Companies using the software have seen an incredible 47% decrease in the time it takes to get paid and an 87% decrease over manual billing costs! For many companies, billing is broken and Paycove is the solution. Through our alliance, Paycove and Team Merchant are working to make billing better. To learn more or to schedule a Paycove demo, contact us HERE. So, what’s the deal with chip cards? In October of 2015, the US finally decided to join Europe and the rest of the world by upgrading from existing credit card swipe technology (the same “technology” as cassette tapes). Chip Cards are also known as EMV which stands for Europay, Mastercard and Visa. EMV is the global standard for credit cards equipped with security chips and the technology used to authenticate chip-card transactions. The rollout in the US has been anything but smooth, with some large retailers still swiping your chip cards more than 2 years later. The biggest change in October 2015 was the “Liability Shift”. Since that shift, merchants have been liable for all fraudulent transactions that don’t utilize EMV technology. Even with a signed receipt or video evidence, the merchant is still responsible! If a customer disputes a charge and files a “chargeback” with their credit card company, the merchant will automatically lose the dispute if they are not utilizing EMV readers. The merchant will not be paid for their product or service and will additionally be liable for any processing fees including additional chargeback fees. Now that we are two years past the liability shift, savvy criminals and grifters know that they can take advantage of this system. Restaurants and retail shops are particularly vulnerable to these crimes. Con artists are aware they can purchase (often very expensive) items, meals and services, then dispute the charges with nearly no consequences. The only recourse available to merchants is through the legal system, which can end up costing more than the fraudulent transaction. Have you noticed a large grocery chain or big box store not yet accepting EMV? It could be because they have a combination of point-of-sale (POS) systems, processors and other technology (#paymentstacks) that still haven’t completed the EMV upgrade. Moreover, many simple solutions like mobile card swipers don’t offer a chip reader and are waiting to be EMV ready. Even if they do have the technology, the extra time it takes for a chip card transaction adds a significant cost by slowing down the checkout process. Equifax. Target. These companies have become shorthand for data breaches. If you or anyone you know has been hacked or simply had their credit card stolen, you know what a pain it can be. Unfortunately for merchants, the pain and the penalty are much worse. Every day there are threats from hackers, criminals and nation-states attempting to figure out a way to steal customer payment data. The challenge for merchants is to stay one step ahead. The last thing any business wants is to have their name in the headlines with the word “breach”. The PR hit alone can be insurmountable. On top of that, fines for violating PCI compliance start at $5,000 per record breached. That means if you have a single card stolen, and it is used for 5 fraudulent transactions, you could be facing $25,000 in fines (5X$5,000 Per Record Breached)! Most breaches involve hundreds, if not thousands, of cards and the fines can be astronomical. Chip cards have been around for years in Europe and the rest of the world, but do they make you any safer? The truth is, they are an upgrade from the old swipe technology (which is the same tech as cassette tapes and 8-tracks). Ultimately, the only way to really protect sensitive payment data for in person and over the phone/mail order transactions is with Point to Point Encryption (P2PE). Point to Point encryption means that sensitive data is secured from the second it is dipped, swiped or keyed, using encrypted hardware and software. You wouldn’t want your own credit card information written down and stored, or saved on a someone’s computer, would you? Then you shouldn’t do that with your customer’s information either!. Treat your customers payment card data the way you would want your own data treated. There are several cost effective solutions that can provide peace of mind to know that you are not just PCI compliant, but as secure as possible with their sensitive data. Running a business is enough stress, the last thing anybody needs is a breach. Interchange is the fixed cost for each card type issued by Visa, Mastercard, Discover, American Express and other credit cards for US merchants. It is regulated by the Federal Reserve, and changes every April and October. There are hundreds of different rates, based on the type of card and issuing banks. Visa, Mastercard and the other credit card companies publish these rates on their websites and every processor in the US has these exact same fixed costs. Interchange is paid to the card-issuing banks, credit card companies and processing networks to cover the cost of each transaction. When a card is authorized, both the card issuing bank and the processing network are called upon to authorize and accept or reject the transaction based on available funds/credit. 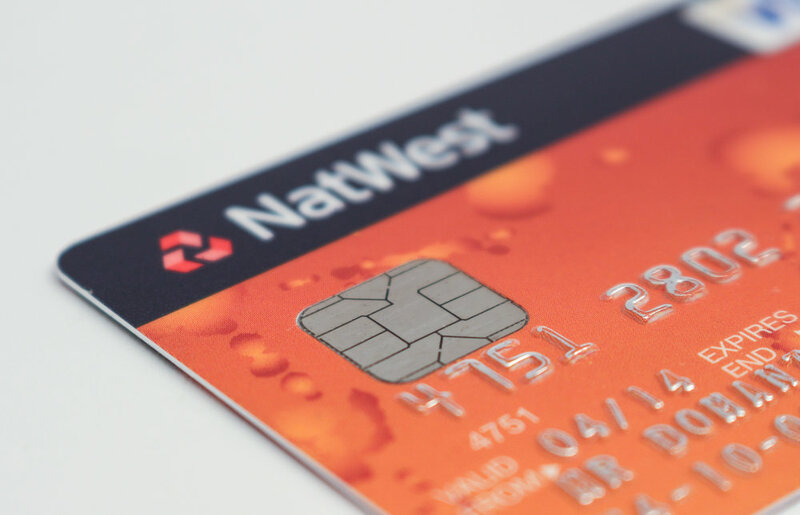 Visa, Mastercard and the other credit card companies make up the bulk of the fees for interchange to cover the cost of accepting these payments as well as the risk. Why do interchange fees vary? Interchange is based on risk and rewards. A debit card with no credit associated with it, used in-person would qualify for an interchange rate of only 0.05% + $0.22, whereas an AMEX corporate rewards card taken over the phone could cost upwards of 2.89%. The more risk, the higher the interchange rate. Instances where a card is either swiped or dipped will cost less than a transaction processed during a phone call, or made through a website since these transactions are less prone to fraud. Why do I have to pay a processor on top of interchange? Visa and Mastercard won’t do business directly with the majority of merchants unless they are the size of Costco. Since credit card transactions can be disputed for a fixed period of time, and since fraud exists, there is a risk associated with each transaction. Processors fill in that gap by accepting the risk for a small fee on top of the interchange rate. Fees above interchange are also completely unregulated, which is why two merchants with the exact same business type, volume and credit history could have two wildly different rates. Ultimately, the cost above interchange is whatever the processor and the merchant agree to. There are hundreds of processors, independent sales offices and sales agents. It’s a little known fact that all of us have the same fixed cost for accepting Visa/MC/AMEX, etc. This cost is called “Interchange”. The rates are established and regulated by the Federal Reserve of the United States. They are updated and posted on the individual credit card company’s websites each April and October, the most important thing to understand for the merchant is what you are paying on top of that cost, and what you are getting in return. The best advice is to pick a payment solution that is right for you. If you are a small volume merchant processing less than $2-3,000 a month on credit cards, your best option is usually a basic, “flat rate” provider. Stripe, Square and Paypal are good solutions for these merchants because they are easy to setup and have no monthly, PCI or hidden fees. On the other hand, if you are doing a higher volume, or a large amount of transactions each month, those “flat rate” providers could end up costing you significantly more! Educating yourself on Interchange and industry pricing trends will help you find the best fit for your business. Businesses accept payments in a variety of ways. In person, on the go, over the phone, through a website, custom software, or with a mobile device, the possibilities are endless! Start by mapping out the most ideal solution for you and your customers. Next, do your research to find the best tools to help you achieve that goal. While saving money is important, it’s not worth frustrating your customers or creating more headaches for yourself! Payment data security is paramount for any business. If you or anyone you know has had their card stolen, you understand how painful that process can be. For merchants, it is much worse! Not only can it irreparably damage your reputation, there are a number of fines and other penalties you may be responsible for. Merchants are often on the hook for the lost products or services from fraud as well. There is also the possibility of PCI card violation fines that can start at $5,000 per record breached! It’s essential that businesses get serious about PCI Compliance! Finding the right payment processor takes time and research, but it is well worth the effort! For example, an eCommerce company who chooses a partner without data portability (ability to move saved customer cards) could end up having to lose the data, or pay thousands of dollars more to make the switch. Merchants need to be sure they have thoroughly researched and understand the fees, technology, security and service before they decide to use a credit card processor. We just finished a 30 day review for one of our new clients, Empire Music. Joe Ravita started Empire Music in 2002 and is located on Washington Road in the Mt. Lebanon shopping district. Joe has a beautiful store where he sells guitars, accessories and also offers music lessons for many instruments! We were thrilled to show him how much he saved since switching to Team Merchant. In the 6 months since, we have hit the ground running. We launched in Chicago and Pittsburgh, designed a brand new type of customer experience, created an awesome logo, and launched our website. We partnered with multiple payment processors, gateways, and other payment solution providers. We’ve joined multiple chambers of commerce and small business organizations. We are most proud of working with some truly amazing first clients, helping them save more than $10,000 a year. Our goal is to save merchants over $50,000 in processing fees by the end of the summer and over $100,000 by the end of 2017. We also plan on announcing some exciting merchant education initiatives, as well as launching our partnership and ambassador programs this year. We will be more than just a great vendor to our clients, but an advocate for all merchants. We believe we can change the industry by empowering merchants through education and radical transparency. At this moment, we’re incredibly thankful for all of the support we have received and eagerly anticipate what the future will bring.